Download her CV or visit her Google Scholar page. Equally important, Kasey is excited about being an encouraging and positive role model for budding scientists and fosters two-way training in her lab group, in which the junior researchers benefit from close collaboration with senior researchers, and the senior researchers benefit from mentorship experience. 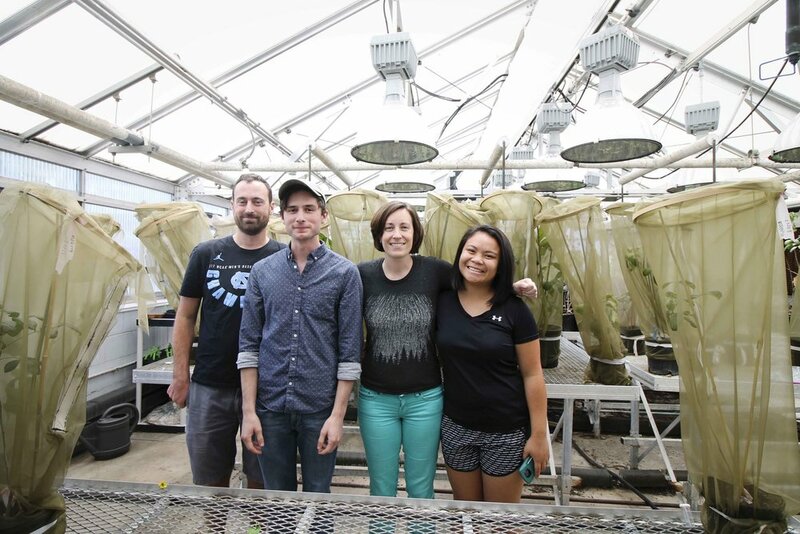 The high collegiality among her lab members is evidenced by the variety of publications with undergraduate students, graduate students, and PI authorship. Additionally, her lab members collaborate closely on outreach and education, gaining valuable experience in science communication and working at the science-public interface. Will began his Ph.D. at SLU in the Fall of 2015 after completing his undergraduate in Biochemistry at the University of Missouri. 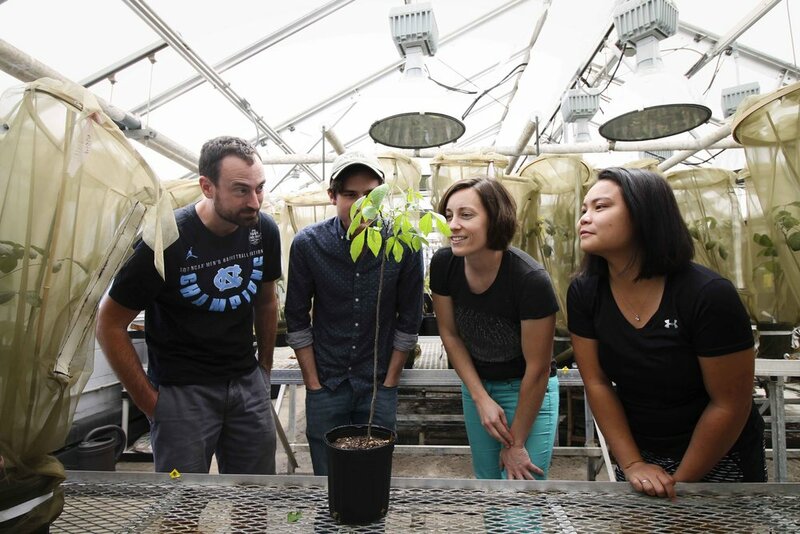 Here, Will is studying the evolution of complex behaviors, including mutualistic interactions and niche construction, using a variety of ant and plant species as well the treehopper Entylia carinata. Letty joined the lab in the Fall of 2017 and is focusing on defensive mechanisms in harvestmen. She is particularly interested in the potential for these vision-poor animals to use visual and other sensory cues in predator detection. Her research interests range from arachnology and entomology to aquatic ecology. Anthony joined the lab in June 2018. More information on Anthony and his research coming soon! We welcome inquiries from folks interested in joining our research group and are excited for applicants from diverse backgrounds and training. Current opportunities will be posted here, although we are always excited for new collaborations.